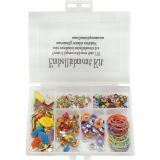 Embellishment Kits - CREATIVE IMPRESSIONS-Embellishment Kits. 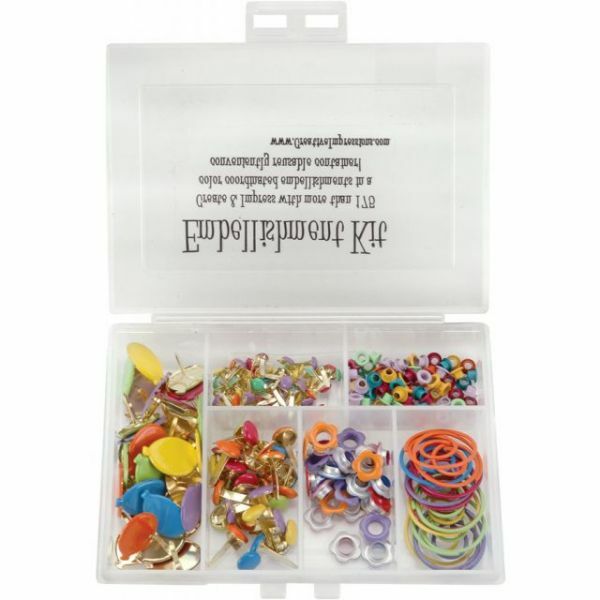 Create and impress with these coordinated embellishment kits. Each package contains more than 150 eyelets, brads in several shapes and sizes and more. Size, shapes, color and number of embellishments varies by theme. All come packaged in a neat little reusable non-migrating 3-1/2x4-3/4x7/8in translucent plastic storage container. Imported.